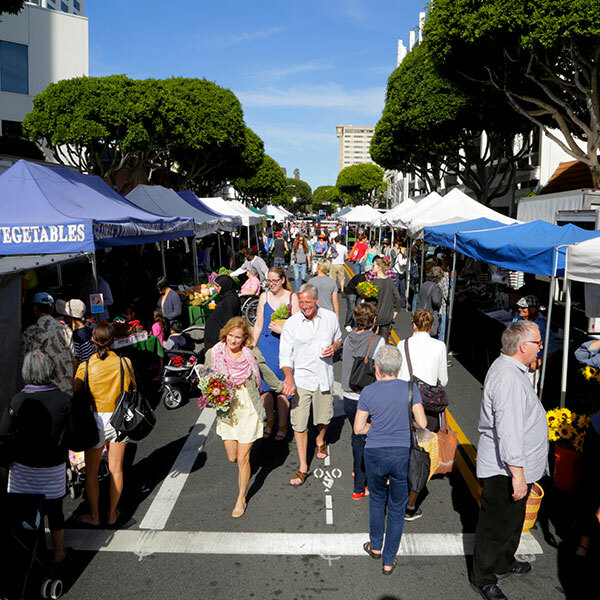 Los Angeles is justly celebrated for its spectacular farmers markets, and the Downtown Santa Monica Farmers Market on Wednesday is the most famous of them all. 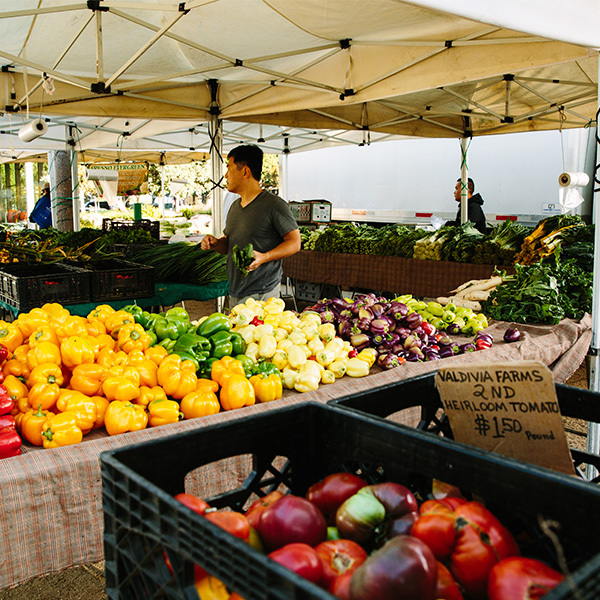 Top chefs arrive early every Wednesday to scoop up the best seasonal offerings from local farmers, fishmongers, cheesemakers, and more. Expect a convivial vibe and a feast for the senses – bright colors, fresh flavors and scents, and great people-watching. 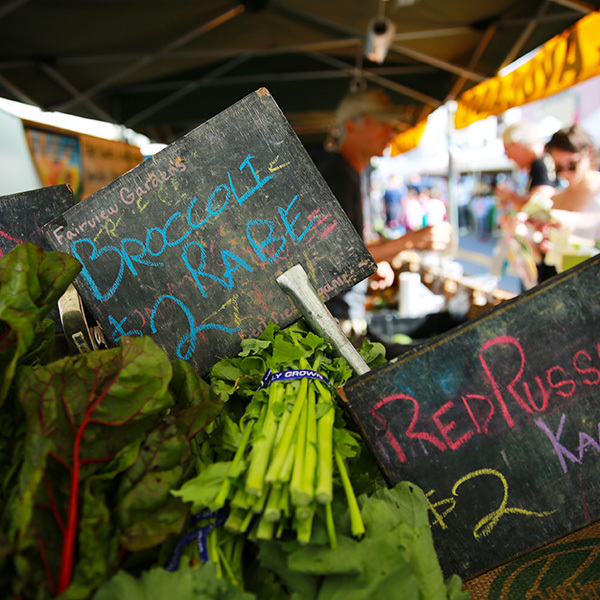 This is just one of four weekly farmers markets locals flock to in three different Santa Monica neighborhoods, year-round, rain or shine. Here’s a weekly breakdown. 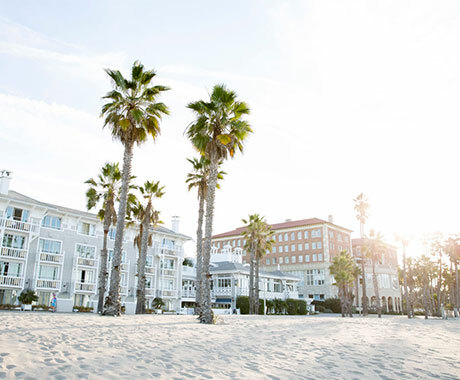 Situated in a small square in Santa Monica’s Main Street shopping district, this market features live music and kid-friendly activities like face painting. 2200 Virginia Ave. at Pico Boulevard and Cloverfield Blvd. For those who like to shop and feast at the same time, this family-oriented market has plenty of tables and chairs, plus it’s adjacent to the Virginia Avenue Park with a playground where kids can run around. 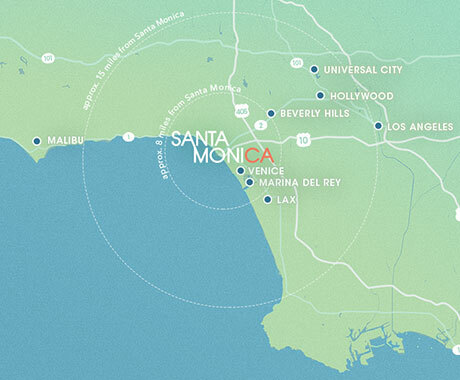 Santa Monica’s farmers markets generally offer local specialties like beets, some varieties of citrus, and green leafy vegetables year-round, but to find the best produce at its seasonal peak, follow this list.